Tag Archive | "minnesota north"
Planned Parenthood challenged South Dakota in federal court on Friday over an abortion law that would entail women seeking abortions to a 72-hour waiting period and counseling at crisis pregnancy centers. The lawsuit seeks to block the law up to the time a final verdict is announced as to whether it goes against the women’s legal rights to abortion founded under the 1973 U.S. Supreme Court’s ruling in Roe v. Wade. Sarah Stoesz, Planned Parenthood president and chief executive in Minnesota, North and South Dakota, said that the law intrudes a doctor-patient relationship and puts women and families in jeopardy. The organization provides reproductive health services, as well as child and maternal health care. One of the services it offers includes abortions. 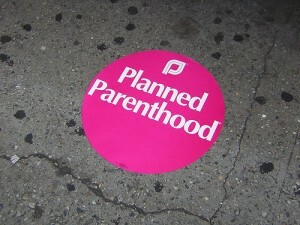 According to Planned Parenthood, 3 days will be the longest waiting period in the country. Anti-abortion laws have been submitted since 2010 elections in states with conservative legislative majority. Legislators from the Republican Party are likely to approve on abortion restrictions. The South Dakota law is expected to take effect on July 1. Proponents of the bill say the law protects women from being forced into getting abortions. Also, they say the state will likely win the legal battle. A spokesperson for the attorney general’s office in South Dakota was not instantly available for comment. However, Joe Kafka, Daugaard spokesman, said the restriction offers women additional time to think about its option to get abortion. In the United States, South Dakota has one of the lowest rates in abortion. South Dakota Campaign for Health Families said abortions in South Dakota only represent 0.1 percent of the abortions in the entire United States.